One of the victims of last night’s terrorist shooting attack in the Binyamin region, north of Jerusalem, has succumbed to his wounds. 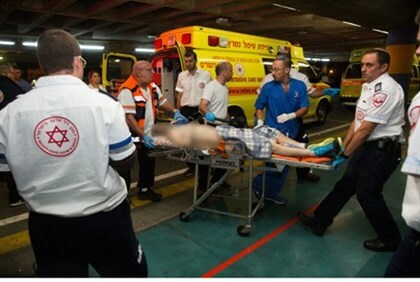 Malachi Moshe Rosenfeld, a resident of Kochav Hashachar, was among four Israeli civilians wounded by a terrorist gunman outside the village of Shvut Rachel, next to Shiloh. He was the most seriously injured of the four, and was evacuated to hospital in critical condition by military helicopter. In the hours following the attack his father made a plea for the public to pray for his recovery. Rosenfeld and his three friends – who were also injured in the attack – were the latest victims of what the IDF now believes to be an organized terrorist cell operating in the Binyamin region.